Two matches, two distinctly average opponents, two defeats. On the face of it, Leeds United’s start to the Championship season 2016/17 could hardly have been worse. There are obvious deficiencies in the squad, readily apparent areas of the team that require strengthening or replacing. And yet, all is not doom and gloom. Even given our pointless start, there are some promising signs that, given time, a pattern may well emerge that will be pleasing to the eye as well as effective on the park. The problem with a radical change in approach, alongside wholesale squad additions, is that it takes a while to bed in, just as the new personnel have to be given the chance to find their feet in unfamiliar surroundings. These factors can explain, if not completely excuse, negative early-season results. 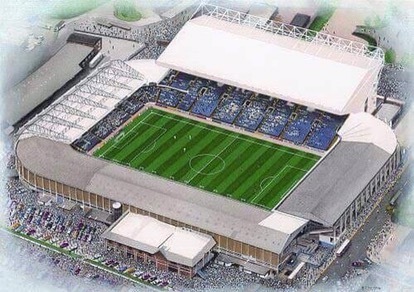 But it must be remembered that this is a new Leeds. There’s a new manager with new ideas, there’s a new plan and new players in every department. More than likely, the recruitment is not finished. We can expect some departures too. One departure that could be expected to cause tearing of hair and rending of garments would be that of want-away tyro left-back Charlie Taylor. Not so long back, I begged leave to doubt that the boy Charlie actually had his heart set on a move at all. I felt that, perhaps, we were being spun a line, as has undoubtedly happened before. The thing is, though, Taylor’s performances have not been those of a lad whose heart is currently pumping yellow, white and blue. And, while it may well sound all grimly determined and steely-eyed to say we’d rather lose him for nowt when his deal runs down, than sell him for millions now, those are not the kind of principles, or indeed the real-life economics, we can afford to follow. If Taylor’s heart is elsewhere, then let him follow it through the exit door while there’s some cash to be made and (maybe) reinvested. It’d would be foolish to act or argue otherwise, in this blog’s view. Elsewhere, the picture does look more promising, with glimpses of real promise showing fro the likes of Roofe, Antonsson, Sacko and our own product Ronaldo Vieira. The problem seems to be that many of these players cannot yet function to their potential because the shape and effectiveness of the team as a whole are being negatively affected by the lack of a ball-winning, holding, defensive midfielder. If the signings of Bridcutt and/or Osman ever get over the line, I would expect the whole to start looking like more than the sum of the parts. Up to now, it’s looked rather less. It sounds like an odd thing to say, but I do feel there is much excitement and the prospect of some spectacular performances in the offing – once the groundwork has been done and some proper foundations are in place. Preparations in the early part of the close season were hindered by some needless shilly-shallying over the future of former manager Steve Evans. Whatever the rights and wrongs of this, it wasn’t ideal in terms of getting ready for the season ahead and, in certain respects, we are still suffering from that two defeats into the season. The important thing now is that certain fingers should stay well away from the panic button. Yet another early season brainfart from our unstable owner is the last thing we need now that we have committed to the Monk style of football and recruited our playing staff accordingly. No, we must aim to steer a straight and careful course if we’re to avoid sinking. If the club can show some faith and belief in the squad so far assembled, then there may well be better times ahead than two losses in two opening games might seem to suggest. If not – well, then storm clouds will inevitably gather and we could well go down as SS Laughing Stock. As things stand, we’re not alone in our misery. Runaway title favourites Newcastle also sit on zero points from two games – but they will still be there or thereabouts when the season reaches its climax. 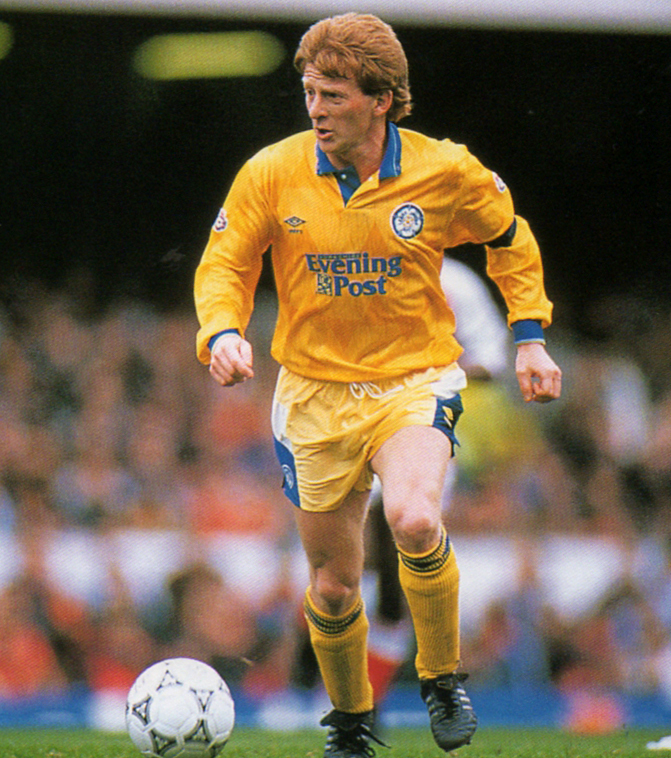 Maybe – just maybe – Leeds United can be, too. It’s time for owner, players and fans alike to keep the faith. Whatever our differences, and however bleak things might look this evening after a second reverse in our opening two games, there’s rarely been a more important time to be Marching On Together. And that is precisely what we must now do. This entry was posted in Football, Leeds United and tagged Birmingham City, Garry Monk, Leeds United, The Championship, transfer window. Bookmark the permalink. Well, I’ve been accused of moaning on too much in the past. Maybe it’s better to dream! 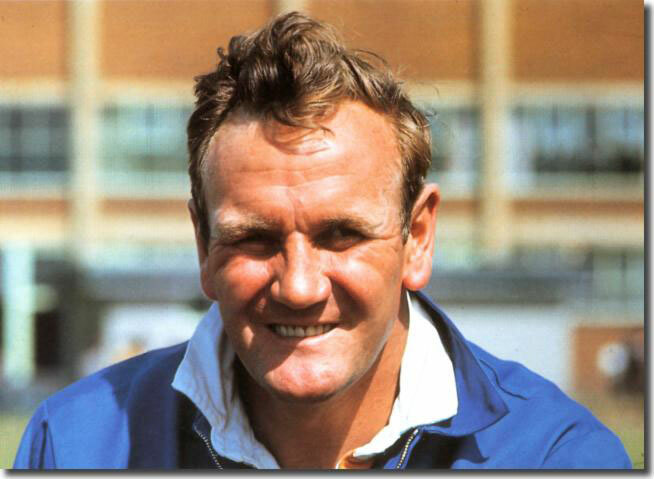 Is this your first post that doesn’t contain the word “Revie”? “”If the signings of Bridcutt and/or Osman ever get over the line, I would expect the whole to start looking like more than the sum of the parts. Up to now, it’s looked rather less. 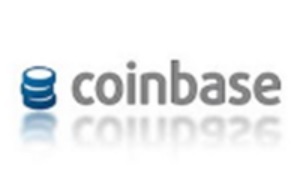 “” all your assessment is 100% correct..a very well measured article..THANK YOU!! Great common sense article Rob – I’m with you on this one! Whilst results suggest different, there’s much to be hopeful about (oh, how often I’ve uttered those words!) but I have a good feeling moving forwards if we can secure a solid midfield general, and Monk is given time to implement his style and shape. Let’s face it, he’s not had an ideal pre season to fully prep, but I can see how he wants to play and I like it! There needs to be additions to the squad, but this idea of clearing out the “deadwood” is not helpful. If you have made a mistake purchasing anything, you do not recover anything near the outlay by running around screaming at the top of your voice how bad your choice was. Keep the members of the squad you want to sell till you can get something for them. A certain club who play football in red near the banks of the Mersey River have in the over fifty years of I have watched football rarely lost money on a player they have bought. We develop talent and if it does not make the grade we give them away for nothing. 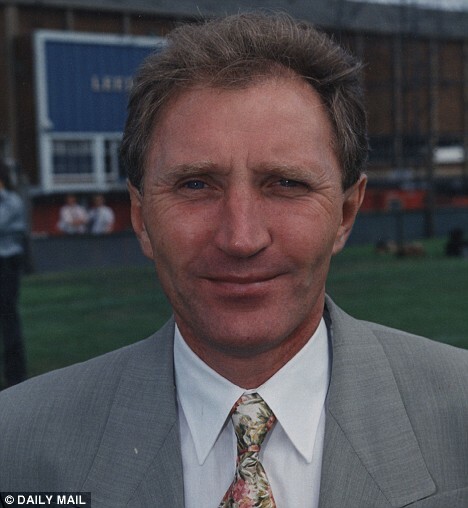 Howard Wilkinson rarely bought a player and then transferred him out for nothing. Err. ….. carlton palmer. Wilkinson bought carlton palmer. For real money. Yes he did buy class, quality and experience. But really, carlton palmer? I wrote HW rarely bought a player and then transfer him out for nothing. The important word was “rarely”, which does not mean without exception. How much did your English language qualification cost you? Errr ….., Oh do Marky B. The important point is that lately the club has lost a lot of money on transfers. Sold him for half of what he paid for carlton palmer. ……. He did not lose money on Cantona. Marky b, instead of trying the cheap shot try read what someone has actually written. Just because he got Cantona for nothing and sold him for £1.5 million is that a profit? Technically yes cos we got a profit and scum got more premier league titles than Cellino had leeds managers (up to press).HW won promotion and then the league then thought he was gods gift to football.we went from league champions to not winning an away game the following season. Rob, I’d tend to agree with you. There were signs in the first half of what might be in times to come. People do easily forget just what a major transition has been (and is) taking place. We have a good manager with a good footballing brand. And some very good talent that will steadily find its feet. Already, Hernandez looks a class act; just ran out of gas. I’m more hopeful than I’ve been in a long time that there just may be the promise of better times ahead. I, too, am a “glass half-full” kind of guy, and like you, Rob, I’d point to three encouraging facts: 1) Despite losing today, we moved up the table; 2) we are only six points off the league leaders, and we all know that joke sides like Bristol City and Huddersfield are not going to last in that airy height; and 3) we got three shots on goal today after fired not even none in the opener; the offence may be waking up. I’m feeling encouraged and would wager that after a dozen matches, we’ll have a much improved sense of our chances for promotion to the Premiership this season. Very difficult to second-guess that guy’s attitude. But I trust that Monk will be in his ear making some emphatic points about what’s still needed. I have supported Leeds for 45 years. Seen ups and downs in this great side. All of you out there have FAITH. Cellino again screwed up by delaying exit of evans and no preseason planned. We are a joke under him , we don’t have a scouting policy or professional things like analysis reports on opposition as its left to agents and Cellinos inner circle. Monk will get time as he’s obviously got a reasonable contract (unlike those before) and we have some decent players but don’t kid ourselves we are bang average and another mid table position at best is unfortunately what we are starring at. We must get Bridcutt in and lose players like Bamba and Wood. Bambas problem is he thinks he’s better than he actually is he doesn’t organise the back line. How many more times are we going to give goals away from corners that’s 3 in 3 games. Promising signs and that was a game we threw away. Taylor just has to go he’s not interested nothing like the player from last year. We need more quality Cellino pay peanuts and you know what you get. Your post is spot on Rob. Can someone please justify giving any form of payment to TAYLOR after this awful performance today, it was painfully obviojs that he did not want to be on the field, I think he ran away from the ball more than he attacked it. LET HIM GO, NOW. Also we seem to have swopped a keeper that flaps at the ball in the air to one that just flaps at it, while we are at it can Green be told that whenhe kicks the all up field to at least try and get it to someone in his team, not out of play. With regard to our wonderful international striker WOOD yet again he cannot even get the ball on target. The outstanding offer of the week has got to be buy TAYLOR and get GREEN and WOOD for free. This team is in danger of staying in the bottom 3 al season. It takes time and if Cellino holds his nerve and let’s the Monk do his job then we won’t be relegated even without more signings. The thing I am most concerned about is Monk being sacked. I hope he sells Taylor and uses the £4 million or whatever to buy a couple of players. Monk can then get the team playing as he wants and we build from there. January transfers and next summer transfers and then a crack at promotion next season. That is more realistic and sensible but a realistic and sensible owner is needed for this to happen. It was a disastrous second half. Monk was scathing about the weak underbelly at the club – a softness that has to be sorted out. He couldn’t understand why it happened but he is determined to get to the bottom of it. In the second half today they were as bad as at QPR and any match last season. It is inexplicable. There were 8 new players in the team compared to last season. The players are different but of the same quality. You buy players for £1 or £2 million with a few loan signings and they are like Whelan says “bang average”. No better than the players already at the club. Players of better quality need to come in to complement what is already at the club but they won’t sign the players needed for £5 million plus under Cellino. Charlie Taylor was not interested – never got forward once and last season he was our main attacking threat. Sheffield Wed away next Saturday and they will be beaten there unless they improve massively. Vital match at home to Fulham. If they lose that one as well as Sheffield We’d that will be 4 straight defeats and Cellino will get Evans back! It’s not all been losses (just in league, yes). Let’s remember: we did defeat Fleetwood. Well – we got a draw. We won’t get relegated, I’m absolutely sure, neither will we get promoted. Take those two scenarios out of the equation and all the pressure comes off. We need to build, and I mean confidence, we need to gel and understand how we play to our strengths. Sorry but Wood and Bamba just don’t make it for me and we need to find class replacements along with a solid midfield general. Taylor should go because he’s not part of the future and his heart just is not in it. This is about building around the guys who showed real class first half, Hernandez, Roofe, Sacko, Antonson and young Vieira. It takes time to do all this, probobly two seasons with the same manager and not this stupid chop and change mentality. So forget all the glory for now. As long as we don’t get relegated and improve steadily the rewards will come. The only important game is the next one, all the rest are history. I was over from OZ last year and watched the Brummies do Leeds 2-0. Very similar performance today. Taylor needs to go – he hesitated in tackles and not once burst forward like his normal performances. Samba is an embarrassment- and captain. Last year Leeds under Evans struggled but got some success because of Cook, Bridcutt and Taylor. Cook has gone, Bridcutt is not here and Taylor has mentally left! Not rocket science but Cellino is Cheapolino – sells the better players and signs players not as good. He did it in Italy and was (quite!) successful. Much harder in this league. Wood is just not up to it – so in a nutshell – need a real quality number 9 – need a real quality number 5 – Nat Bambi! – need Bridcutt. Then we need to let Monk get on with it. Maybe he should pull the boots back on and take on the number 5 role because Bambi really does look he plays permanently on ice! Hopefully monk will be given time one thing that does worry me rob how can you leave a player who cost 3 million on the bench and has looked one of the liveliest players in recent weeks and start chris wood who anytime i have seen him has looked cumbersome lethargic and frankly wrecks my head poor poor player and we payed 3 million for him so you can write that off.I think gary does not know his best eleven yet do you think he will be given time also would like to know your opinion wood. The spine s still the problem!! How much longer to solve!.a strong CF strong CB and BRIDCUT how many more times!!! Even Bamba thinks we need more players! What a joke!